Liquid Pool Covers - Will Service Make or Break Your Business? Have you heard of Uniqlo? If you haven't yet, it is only a matter of time. They are a Japanese brand of affordable, high quality clothing that focuses on timeless styles, rather than trendy one-hit wonders. Apparently, they are trying to take over the world of fashion, and so far, they are doing a pretty impressive job. With a goal of being the number one retailer in the world by 2020, I thought they would be an interesting case study. Is Unique really all its cracked up to be? I don't know about you, but I feel like I receive mixed messages when it comes to the success rate of being unique in business vs following the bandwagon. On the one hand, if you are too different your customers will be wary of you. On the other hand, if you are too "same-y" there won't be any reason for customer loyalty. They'll take you or leave you. Is it better to stand out, or to blend in? Uniqlo has analyzed the bandwagon, and reinvented it. The know what everyone wants, and they provide something slightly else. They are raising expectations and changing the way shoppers shop. They focus on quality BUT make it affordable. They use technology to engage their shoppers like no one has done before (one location has a mirror that allows you to "change" the color of your shirt without having to change!). They provide an H&M style of retail with a Versace level of customer service. Find your comfort zone by embracing your personality as your brand. If you can build on your own personal strengths, and that of your employees, you will be building something new that cannot be had anywhere else. Uniqlo has its roots in a culture that places a huge emphasis on respect, and they work that into their business model. Its not everyday that a cashier will bow to you as they hand you back your credit card, but it happens every day at Uniqlo. Perhaps you have a musical background, or are an educator, or an athlete. We all have traits that make us who we are, and could go a long way into making our businesses something unique and special. Personally, I love marketing. And writing. And being social. I embraced social media on behalf of Flexible Solutions' liquid pool covers years ago, and I became known as the "Twitter Girl" or the "Pool Genius Girl" because of my networking. That reputation alone didn't really build our sales, but it did make people feel connected to me in a new way, and grew a lot of new relationships. People would seek me out at tradeshows who would have otherwise never stopped by our booth. Those relationships absolutely helped grow my business. Matt Giovanisci from Swim University has music in his blood, and his recent release of the Pool Care Rap video gained him international recognition. He won't sell products based on that video alone, but he will have an engaged and rapt audience waiting to hear from him again. That attention will absolutely grow his sales. Being unique doesn't necessarily mean rebuilding the wheel. It can simply mean putting a new spin on it. 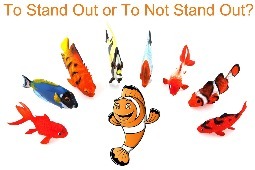 Standing apart from your competitors will make you more memorable, and being memorable creates customer loyalty. They have to have good service - I will absolutely return to a store for no other reason than because I liked the people who worked there! They have to have great merchandise - even if they sell something I wouldn't necessarily buy for myself, I like interesting items. Maybe I'll buy it for someone else! My favorite stores have many of those qualities, if not all of them. I wouldn't give up shopping at those stores for all the great online prices in the world. I go for the experience just as much as the purchases. If you can find a few ways to make sure that your customers remember the experience of shopping at your store, they'll come back. I'd love to hear all about how you set yourself apart, and what you are doing to keep your customers loyal! 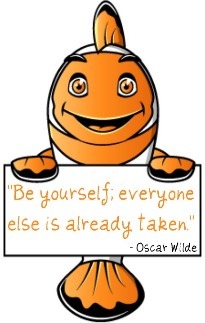 Don't be afraid to share, what makes you who you are cannot be duplicated! I took my inspiration for this post, and a lot of the details from the article titled "The Heir Apparel" in Marketing Magazine, July 8, 2013.